Wisconsin Pet Care is the highest-awarded and rated Dog Walking and Pet Sitting service for the city of Shorewood. Located in Milwaukee County, Shorewood is filled with mansions galore along Lake Drive and close to UWM for a great education. Our Shorewood Dog Walkers and Pet Sitters will come and visit your home while you are away at the office or while you are enjoying a much needed vacation. But… the weather is inclement! They won’t even go outside for me! What do you do? No worries, we will take him out to do his business, come inside and do some snuggling, work on tricks, training, puzzle toys, games, get extra love and attention and of course, lavish them with belly rubs! Why choose Wisconsin Pet Care? We will love your pets as much as you do! Our professional team of dog walkers and pet sitters are bonded, insured, pet first aid and CPR certified, and have been thoroughly background checked. Their love of animals is second to none. 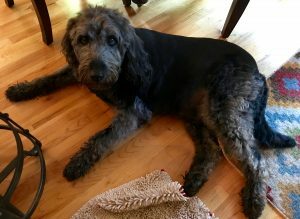 Ready to Book Dog Walking or Pet Sitting in Shorewood? 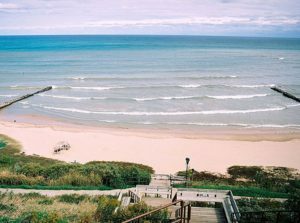 Estabrook Park – This large 50 acre park sits between the Milwaukee River and Lake Michigan. You have direct access to the Oak Leaf Trail to go walking, running, biking, etc… The Beer Garden is a wonderful place for adults to enjoy a good meal and a beer in the evenings. Plus, there are playgrounds, soccer fields, a disc golf course, and a large off-leash dog park to explore. Many of you who are looking for a pet sitter in Shorewood or a cat sitter in Shorewood have gone to Google and typed in these keywords and found paid ads at the top of your page. I bet the first thing that popped up was Rover.com? 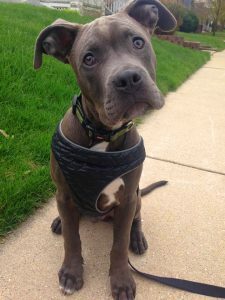 And, I bet it also caught your eye enough to click on the link, do a little investigation, and think to yourself-this is a viable solution for a dog walker in Shorewood or a pet sitter in Shorewood? Not so fast, please. While you can do anything in the world these days on an app or online, finding a reputable pet sitter or dog walker may not be one of them. Why? Because you are not ordering a pizza here. You are carefully choosing an individual or a company who you are handing over the keys to your home, or even more, dropping your beloved pet off at their home. What do you know about them versus a couple of reviews and a cute photo of, I bet, them loving a cute cat, kitten, puppy or dog? Things to look for when hiring a professional pet sitting service in Shorewood. I call it the 3 R’s! Let’s start with reputation. How long has this person been caring for animals, been in business, what is their training as a professional dog walker or pet sitter? Who actually wrote the reviews-friends, family or co-workers so they could get their business started? Do they have insurance, bonding, pet first aid skills and can all these things be documented? Are you able to see their criminal background check, DMV record, drug test results? Then, reliability. Will they show up when they say they are going to? What is their backup plan if they were to get into a car accident, have a family emergency? Who is their back up plan, and what do you know about the back-up person and their skill level and level of integrity? People, you are leaving your beloved pets at their homes or giving them the keys to yours. Who knows what will be going on there and how many other dogs or cats will be in the house-and what about their temperaments? Responsiveness. If you don’t hear from them, you have to go through the Rover website. And if they have an issue, there is a 24-hour hotline, but what if they lose the key? How will a call center in who-knows-where, CA help you? At Wisconsin Pet Care we call back immediately, always have a manager on duty and will answer your questions and concerns as quickly as possible. When you are worried about your pets, minutes feel like hours and hours feel like days. I know, I’ve been there. Wisconsin Pet Care is the highest-rated and awarded pet sitting company in Wisconsin. We offer pet parents pet sitting, dog walking, and poop scooping. Please call 877-822-6926 for more information. Dog Food portions. The guideline on the bag doesn’t necessarily reflect what you should be giving your dog-it suggest what you should be giving your dog. If you dog is active and walks 5 miles a day, or is your jogging companion, then the suggestion on the bag is a good one. Go for a dog walk. Dogs need the mental stimulation of a dog walk-its not just about exercise-it also incorporates dog training, canine nose work and seeing the outside world. A backyard is great for a potty break but a dog needs to be part of the world as well to be socially adjusted. Limit dog treats. If you are feeding your dog endless treats (especially items such as Pupperoni – a WPC NO NO!) and having your dog join you at the table, then you are overfeeding. My veterinarian told me that two potato chips was the equivalent of a hamburger for a dog. Imagine feeding endless snacks…it adds pounds to your pup. Instead, give your dog green beans, carrots and apple slices. They are good and good for your puppy.